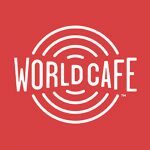 World Cafe is hosted and produced by Talia Schlanger in Philadelphia at WXPN, presenting interviews and performances with today’s essential and emerging artists. Launched in 1991, World Cafe is known by artists, appreciative audiences, and the radio and music industries as an influential source for music discovery. The two-hour daily program features a mix of artist interviews with in-studio performances by both established and emerging artists. The music selection encompasses singer-songwriters, classic rock, indie rock, Americana, alt-country, blues, world music, R&B and soul. As the nation’s most listened-to public radio music program, World Cafe’s impact on the careers and audience awareness of thousands of artists is immeasurable. Get more information, videos and playlists online here. Listen to World Cafe Monday-Friday at 11pm on KXT 91.7. Talia Schlanger is a host and radio producer at World Cafe. Schlanger joins the World Cafe team straight from CBC, Canada’s public broadcaster, where she hosted a triple-A radio show on Saturday and Sunday mornings. Schlanger’s first project at CBC was as a producer for CBC Music Presents: The Beetle Roadtrip Sessions, a cross-country rock ‘n’ roll road trip which won a Canadian Screen Award in 2014. She was also the digital producer for Hockey Night In Canada Song Quest, CBC Music’s search for the next great hockey song. Born and raised in Toronto, Schlanger is a proud alumna of Ryerson’s Radio and Television Arts program. She’s also a professional actress, singer and voiceover artist. Learn more about Talia and World Cafe, and get videos, playlists and more here. Coming up this week on World Cafe: Gypsy-punk group DeVotchKa, throwback tracks from 1988, and an interview with pop-artist Chris of Christine and the Queens. David and Stephen visit with Leon Bridges, talk with Steven Perry about his days with Journey, and Robert Hilburn shares stories from Paul Simon’s legendary career this week on World Cafe. Willie Nelson, music from Newport Folk Festival and more coming up this week on ‘World Cafe.’ Listen Monday-Friday at 11pm on KXT. Legendary guitarist Wayne Kramer tells stories from days with The MC5, we’ll hear tracks from Ry Cooder’s new album and live performances from the 2018 Xponential Music Festival coming up this week on World Cafe.